LAKELAND, Fla. - The Clearwater Threshers were able to get to Casey Mize early on Tuesday night, but the No.1 draft pick in the 2018 draft proved to be too much for the visiting offense in the 3-1 loss to the Lakeland Flying Tigers at Publix Field at Joker Marchant Stadium. Clearwater (1-5) took a 1-0 lead on an RBI single by Madison Stokes in the second inning, but that would be the only offense the Threshers could string together against the Auburn product. Mize (1-0) scattered four hits and struck out seven in his first win as a professional. The right-hander had multiple runners reach base in a frame just one time through his six innings of work. Lakeland (4-2) knotted things up against Julian Garcia (0-1) in the bottom half of the second with an RBI double off the bat of Zac Shepherd. Gracia had a chance to work through four innings, but back-to-back walks to Reynaldo Rivera and Joey Morgan set the stage for Cole Peterson's two-run single to push the Flying Tigers ahead. Grant Dyer and Austin Ross tossed the finale 4.1 innings out of Marty Malloy's bullpen, with each picking up three strikeouts on the night. Will Vest (SV, 1) earned his first save of the season for Lakeland. The right-hander hit Jake Scheiner to put the leadoff man on to start the ninth, but retired Matt Vierling, Edgar Cabral and Danny Mayer to hand the Threshers their third consecutive loss. Vierling and Simon Muzziotti extended their hitting streaks to five games, with each batter going 1-for-4 at the dish. Clearwater will attempt to halt the three-game skid in game three of the four-game series against Lakeland at Publix Field at Joker Marchant Stadium on Wednesday night. RHP Spencer Howard (0-1, 6.23) takes the mound for the Threshers against the Flying Tigers' LHP Tarik Skubal (0-0, 2.25). 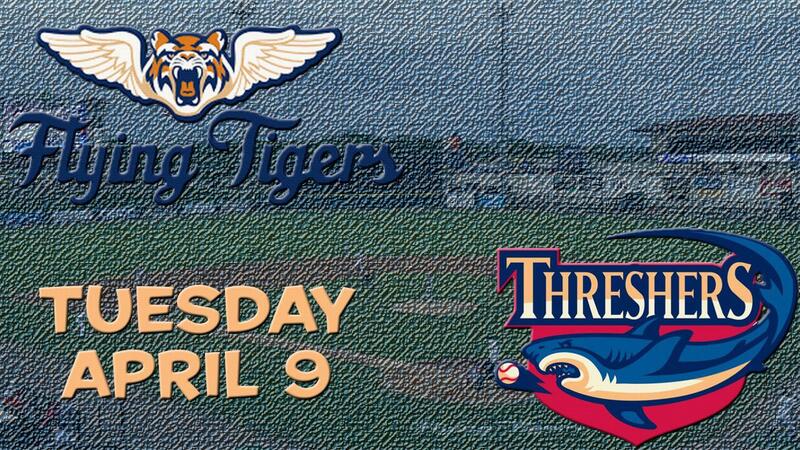 First pitch is scheduled for 6:30 p.m., with coverage beginning at 6:15 p.m. on threshersbaseball.com.